I have been excited to share this post with you all for so long it feels like! 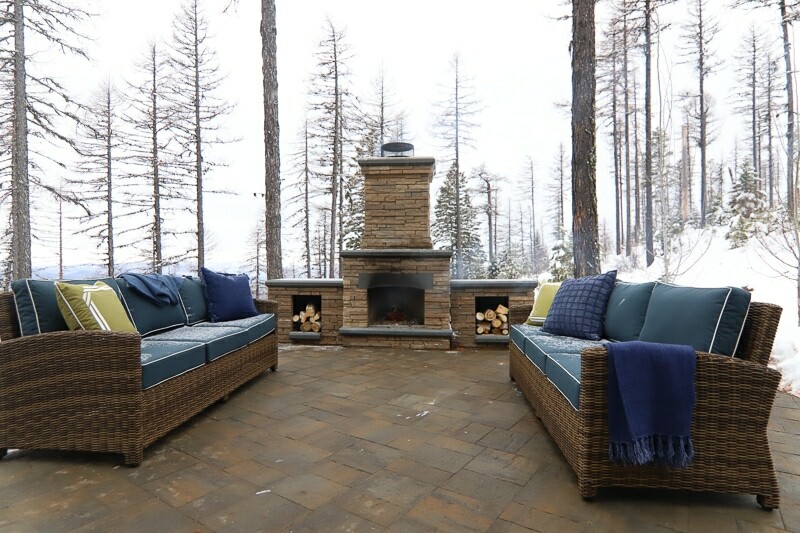 A few months ago, I was contacted by Belgard and asked if I had any interest in traveling with them to Whitefish, Montana and seeing their work featured at this year’s HGTV Dream Home 2019. Ummm…is that a serious question? Because…YES. 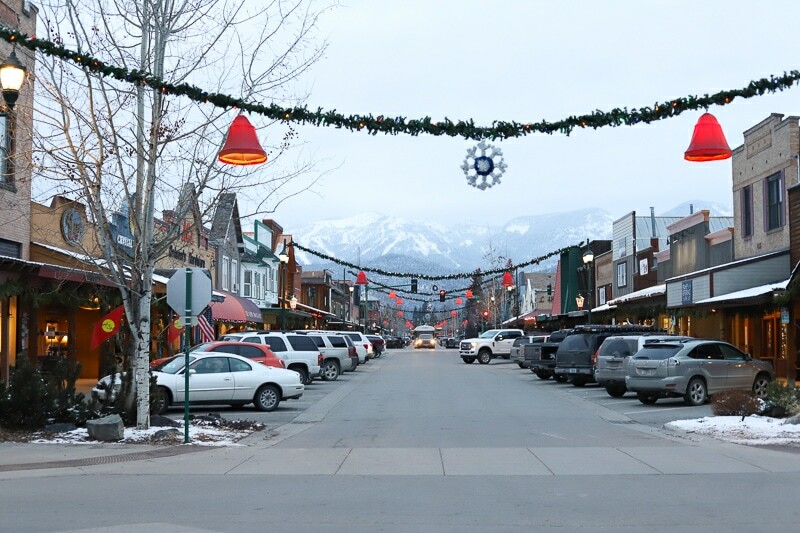 So, in December, Scott and I flew from Dallas to Montana, suitcases packed full with winterwear scraped together from friends and family. We had the best time—truly. Montana is incredible. 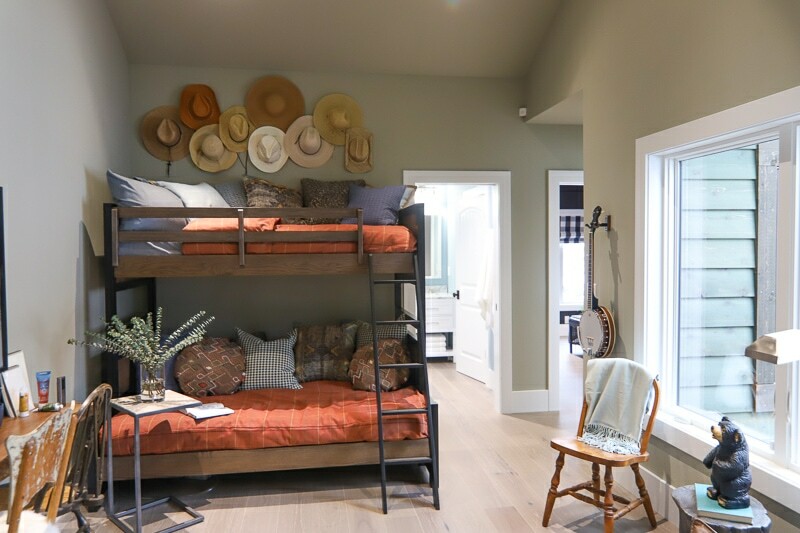 Seeing the HGTV Dream Home 2019 was a career highlight for sure…spoiler alert—it’s amazing (see millions of photos below for details!). The house is so inspiring—I see it as a muse for my own home over the next year. 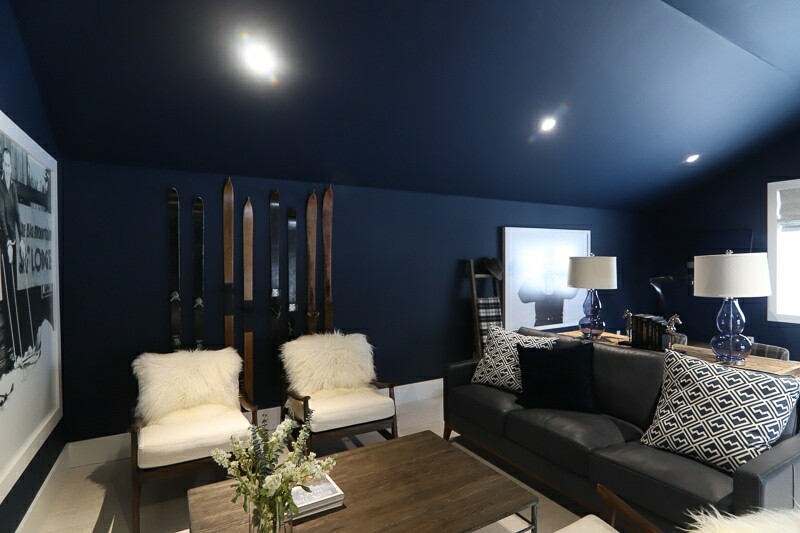 I’ve highlighted 10 lessons learned from the HGTV Dream Home 2019 with key takeaways you can use in your own home. So, onto the good stuff! 1. Find your home’s inspiration. To be fair, not all of our homes are custom built from scratch to our ideal standards. However, every home can and should have a cohesive thread that runs through it. 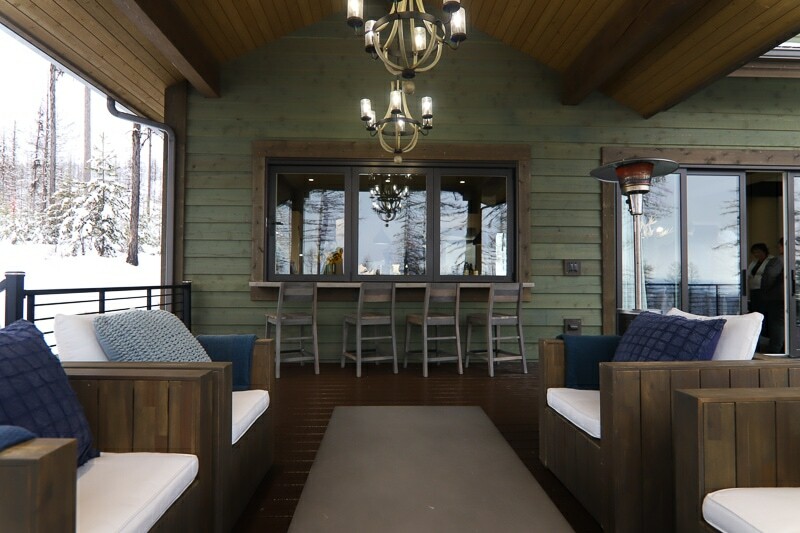 The HGTV Dream Home 2019 was all about being a Montana mountain home, and despite each room having its own personality (see number seven for more) it all tells the story of Montana. For example, this fantastic upstairs room (called “the lodge) showcases ski art and actual skis hung on the walls. 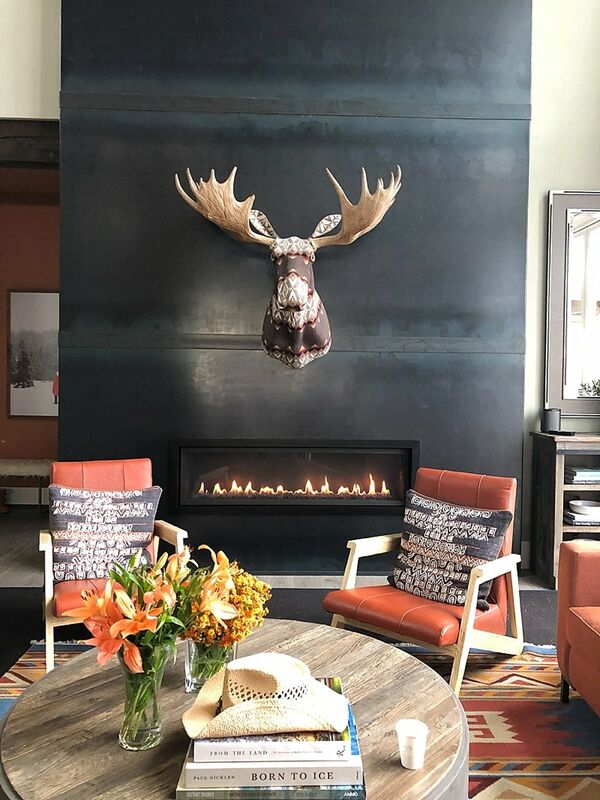 The dining room had rustic antlers and the fireplace had this incredible upholstered moose—a fun spin on a classic hunting lodge! Truth be told, I wanted the moose to come home with me—I wasn’t the only one either…he was quite a conversation piece! 2. 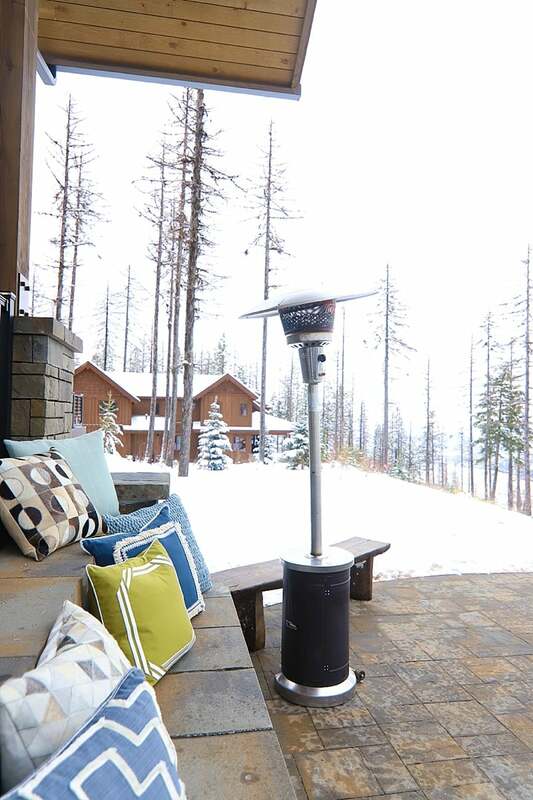 It’s all about the outdoor living space. 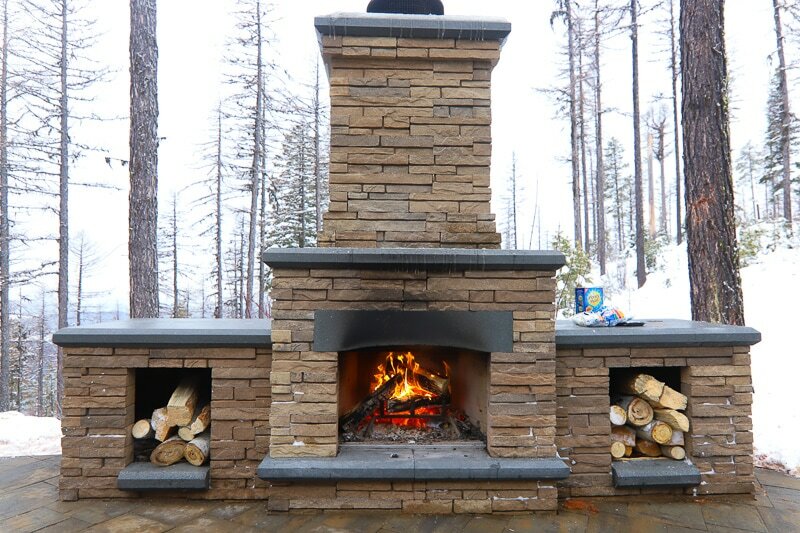 The outdoor fireplace from Belgard takes outdoor living up a notch, big time. As nice as the indoor fireplace is, I’d be near this outside one all the time—reading a book by the fire, making smores, having a glass of wine with friends—it capitalizes on the idea of a true outside living room. 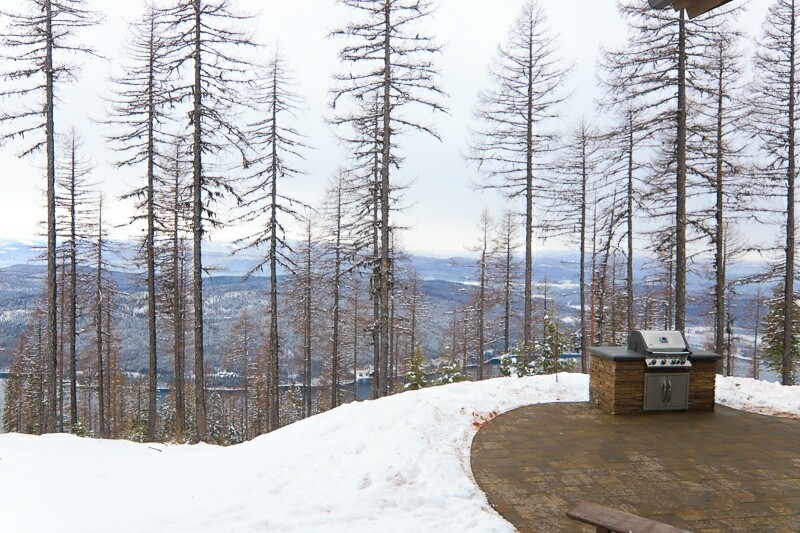 The outdoor grill Belgard created also plays on the idea of an outdoor kitchen—how’s that for a kitchen with a view! 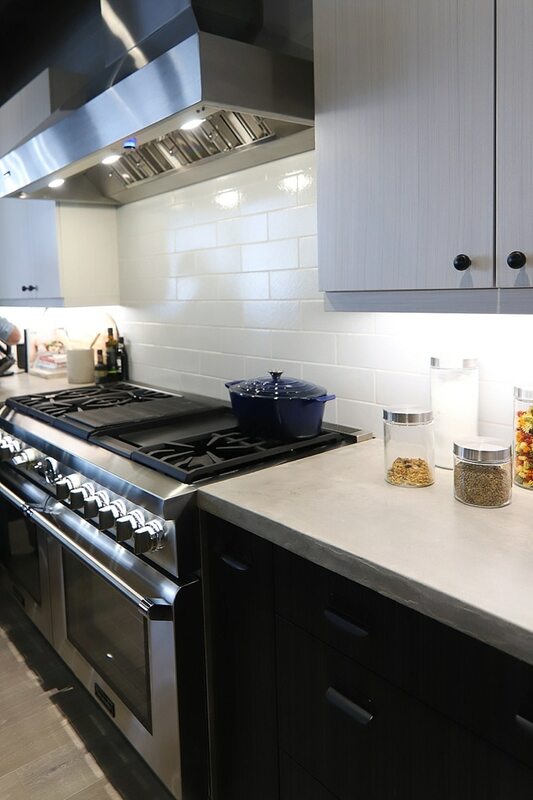 In case you don’t feel like grilling and want to use your indoor kitchen, the big panel windows slide back so it feels like your kitchen has doubled in size! 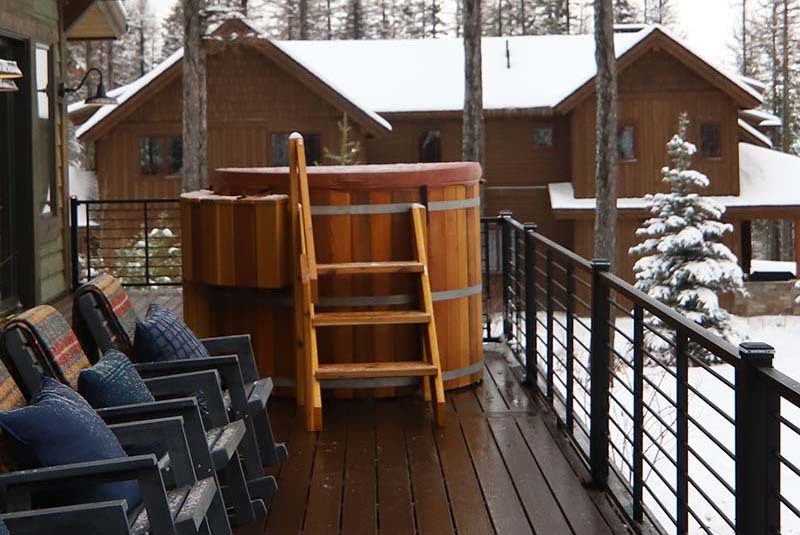 Plus, with this gorgeous outdoor hot tub, do you really need to bathe inside? The answer is probably yes, but still a fun space that will be used frequently. 3. Clothing can totally be art. 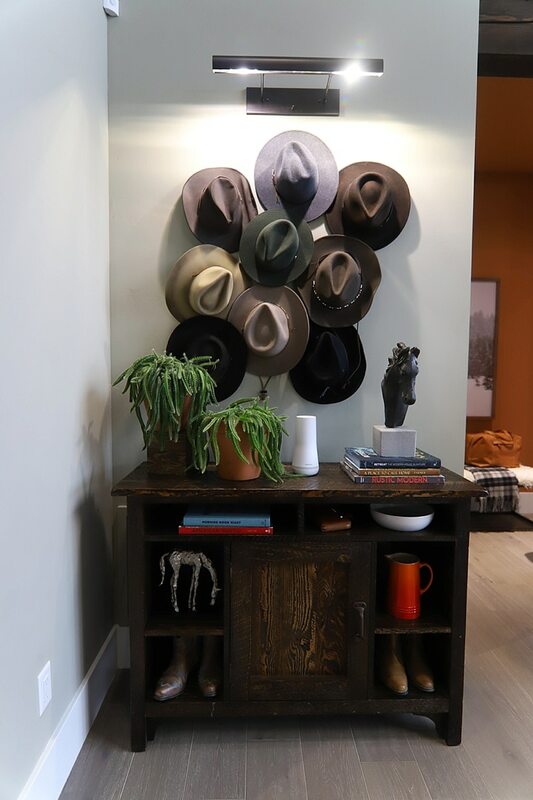 There were also shoes used decoratively throughout the entire home—so now whenever you shoe shop you can double your investment by using them as decor too! 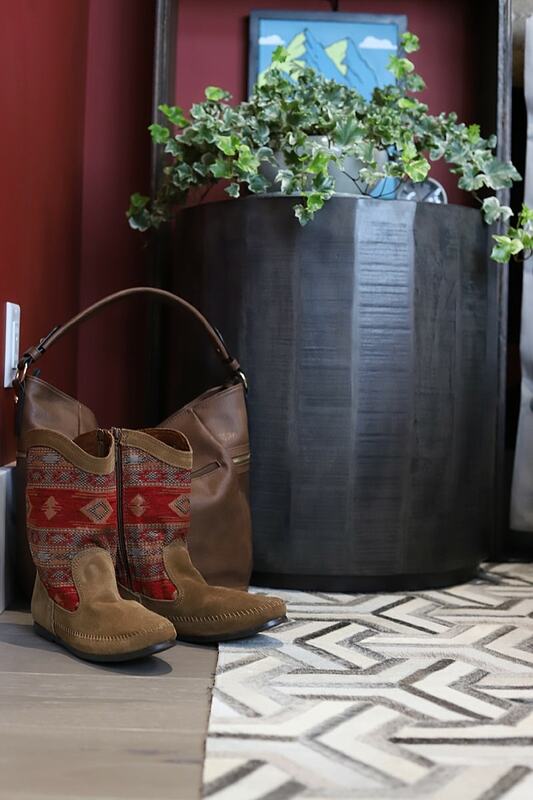 😉 I love these kilim boots—they fit in with the home perfectly. This one is exciting! If you just verbally told me color was going to show up everywhere (boldly! ), I probably would’ve felt a little iffy. But, after seeing it—I’m all in! Every paint color in the home was a nod to nature—and in case you haven’t noticed, nature is colorful! 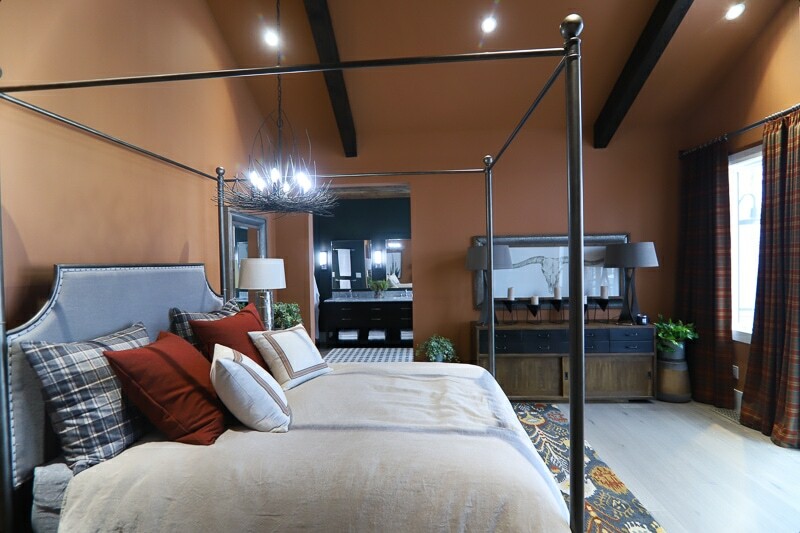 The 2019 HGTV Dream Home had shades of rusty orange, navy, leafy greens, aqua blues and more—and it worked! Start embracing color (note to self!). 5. The view is everything. Let’s be honest—most of us do not have a view anywhere near as beautiful as this one in our backyard…I certainly do not. 6. Concrete counters are still in! I was reeealllly excited when I walked into the kitchen and saw these countertops. They look and feel like the DIY concrete countertops we made, but are much more durable. This is absolutely the best of both worlds, IMHO…I might have added these to my counter wishlist for our upcoming new kitchen counters! 7. Each room has its own story. Like I said above, this house had a clear common theme. 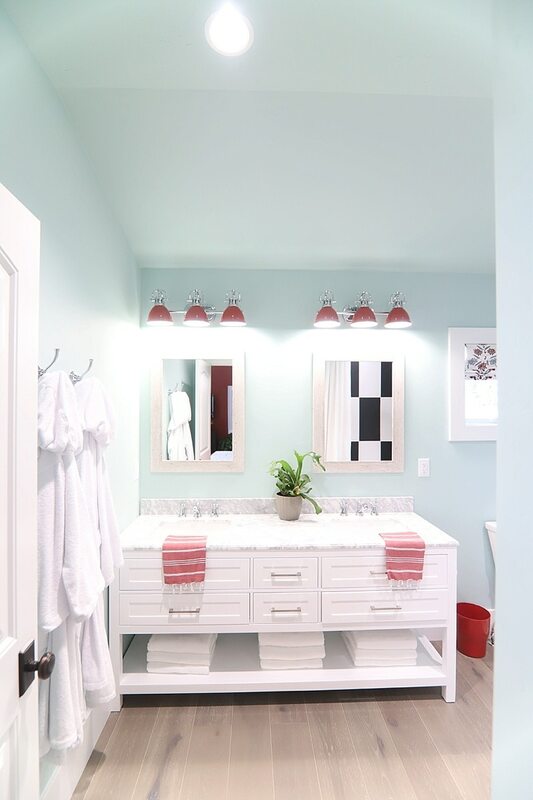 That didn’t mean every room looked uniform—they were all very, very different! 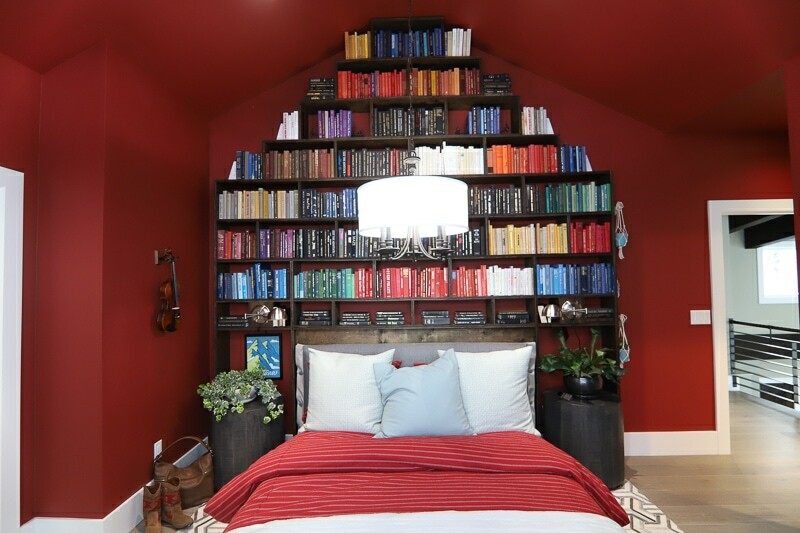 This red room was one of my favorites, simply because this book wall is amazing. 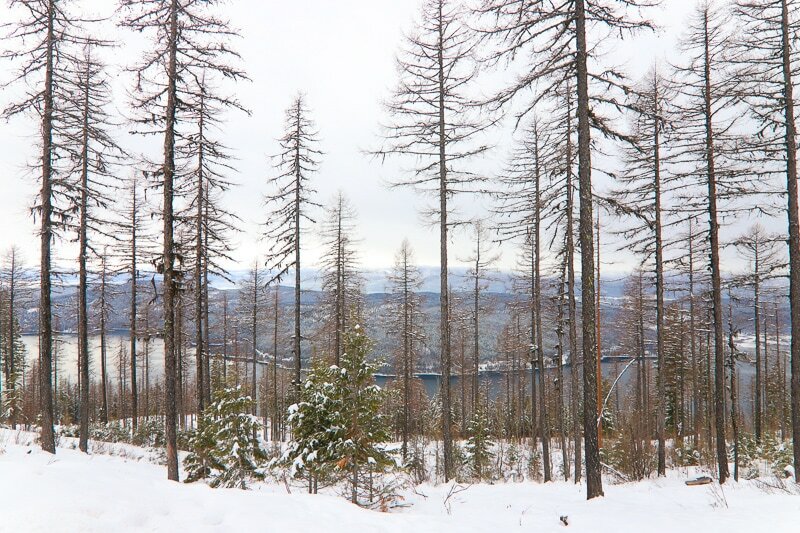 Meanwhile, this dark room definitely has a different style, but similarly works with the mountainous Montana vibe. 8. Bring the outdoors inside. Or should I say bring the indoors outside? One of my favorite things about this house is how it felt like you were outside the entire time you were indoors. 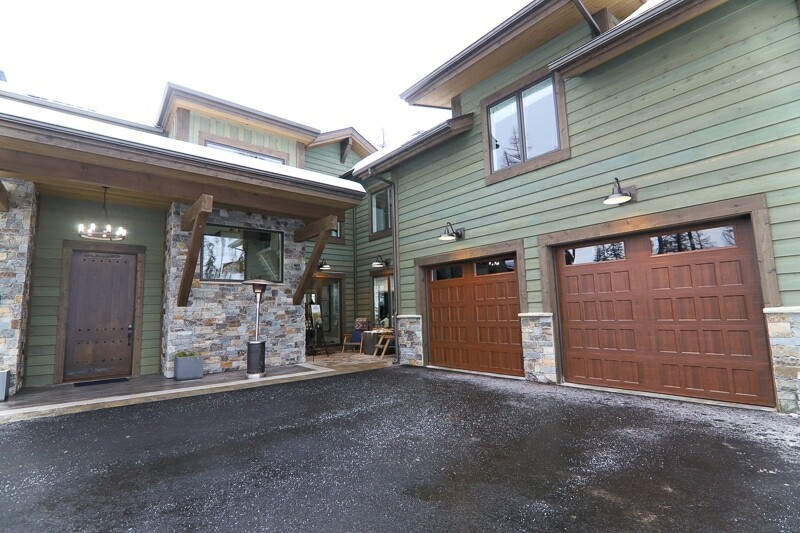 The massive glass doors in the living room folded away completely, and the Belgard pavers were in colors that mimicked the beautiful forest surroundings. Plus, every single room had big windows with views of the outdoors, so you really could feel the surroundings around you at all times. So beautiful! 9. There’s always room for a furry friend. This is too cute! Another one of my favorite rooms was the one under the stairs—it was turned into a little doggy retreat. It was stocked with art, tiny furniture and, of course, plenty of dog food. So adorable! 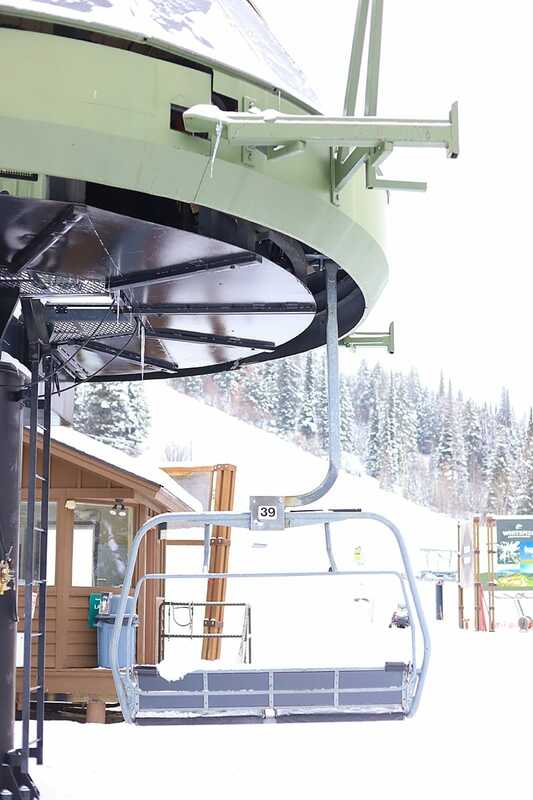 Scott and I also got adventurous and took an 8-minute long ski lift ride up a mountain to check out the view. Sadly, it was totally cloudy when we got to the top, but the ride up and down was breathtaking. It was very cold and I was nervous I would drop my camera with my numb hands, but the photos were totally worth it. Okay, so you totally want to enter for a chance to win*, right? This potential prize package is insane—it’s the largest giveaway HGTV has ever done at a value of over 2.3 million dollars! One incredibly lucky grand prize winner gets the gorgeous custom home (fully furnished, of course), the redesigned 2019 Honda Pilot Elite AND $250,000 from the national mortgage lender Quicken Loans. To enter for a chance to win, simply go to this site and submit your email to begin entry*. You can do it up to twice a day. Once again, a huge thank you to my new besties at Belgard (proud sponsors of the HGTV Dream Home Giveaway 2019) for inviting me out and opening my eyes to the world of outdoor living! We are working on some super cool upcoming projects together and I cannot wait to show you all! So, what do you think? Isn’t the house amazing? What’s your favorite part? *No purchase necessary. Open to legal residents of the U.S., age 21 or older. Void where prohibited. Sweepstakes ends at 5 p.m. ET on 2/18/19. Odds of winning depend on number of entries received. 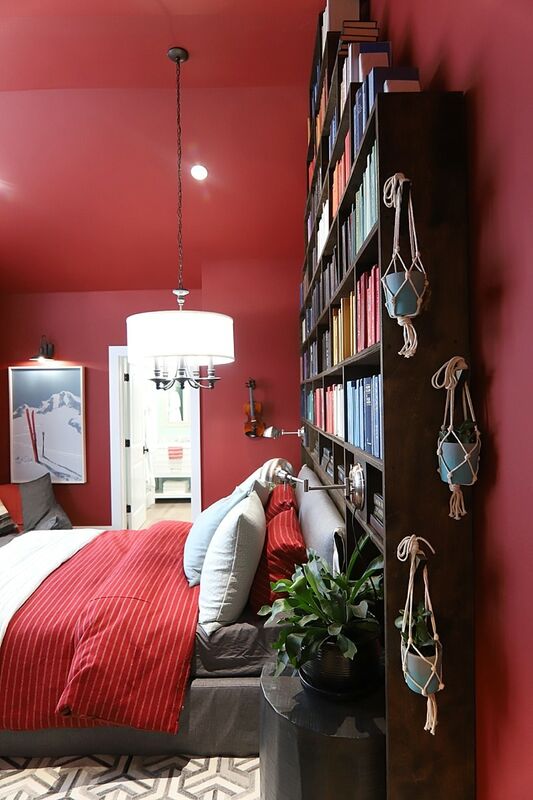 For full official rules, prize disclosures, and to enter, visit www.HGTV.com. Main Sponsor: Scripps Networks, LLC d/b/a Home & Garden Television 9721 Sherrill Boulevard, Knoxville, Tennessee 37932. I love the idea of clothing as decor! so cool and so versatile. Isn’t that so fun? It gives a good excuse to vastly expand my clothing allowance. 🙂 And yes, Montana may be the prettiest place I have ever been. Wow that outdoor living space is amazing! I would totally be out there all the time. I also loved all the colors of the rooms. They are beautiful and still flow all together. Thanks so much, Tamara! 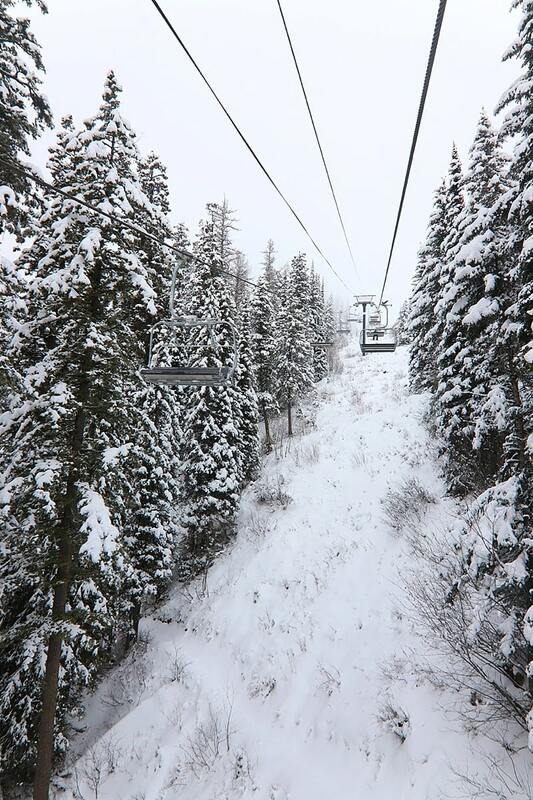 Agreed – I would never get sick of a view like that. And I’m loving how all the color worked together too. Beautiful home and what a view! It’s truly a dream home. Thank you for sharing Tania.